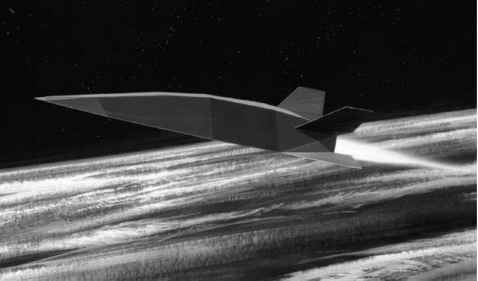 For the rocket-derived vehicles, the configuration is the hypersonic glider derived from the Air Force Flight Dynamics Laboratory FDL-7 C/D. This configuration is depicted accelerating to orbit in Figure 4.35. 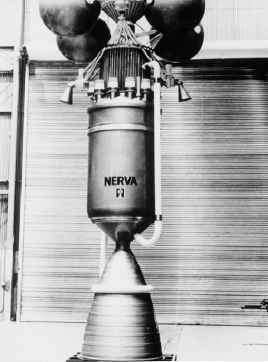 As depicted it is powered by either a LACE or a deeply cooled airbreathing rocket. Although sized as an SSTO vehicle it could also represent the second stage of a TSTO accelerating to orbital speed. At the altitude shown, the Mach number is greater than 6, so the inward-turning inlet is retracted. As the Model 176, the McDonnell Douglas version for MOL, it was designed in 1964 for a fleet of 10 vehicles to fly between 75 and 90 flights per year with an individual aircraft flights between overhaul of 200 and an operational life of 25 years. Figure 4.35. LACE rocket-powered VTOHL SSTO with a gross weight of 450 tons, a weight ratio of 5.5 and an oxidizer/fuel ratio of 3.5.